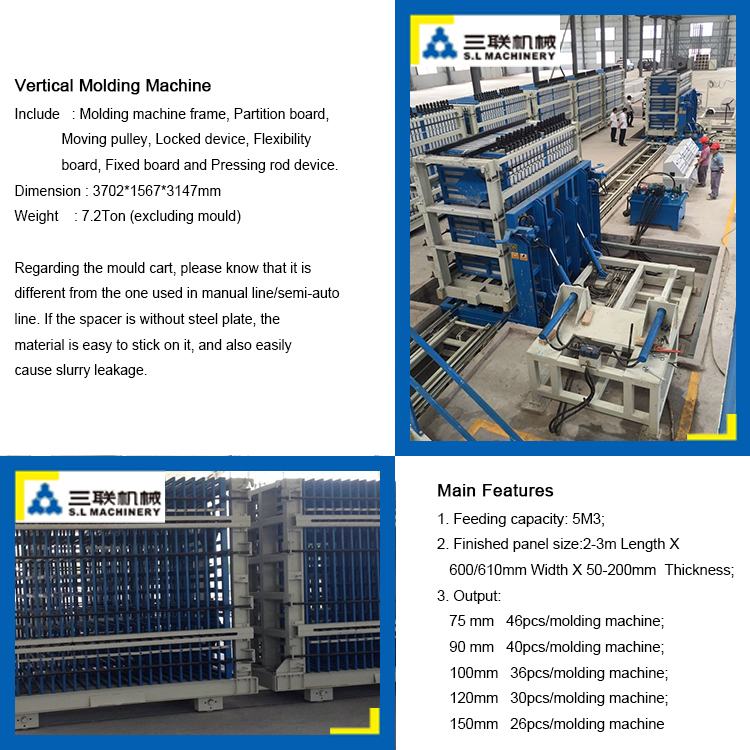 This kind of wall panels can be used as partitons. 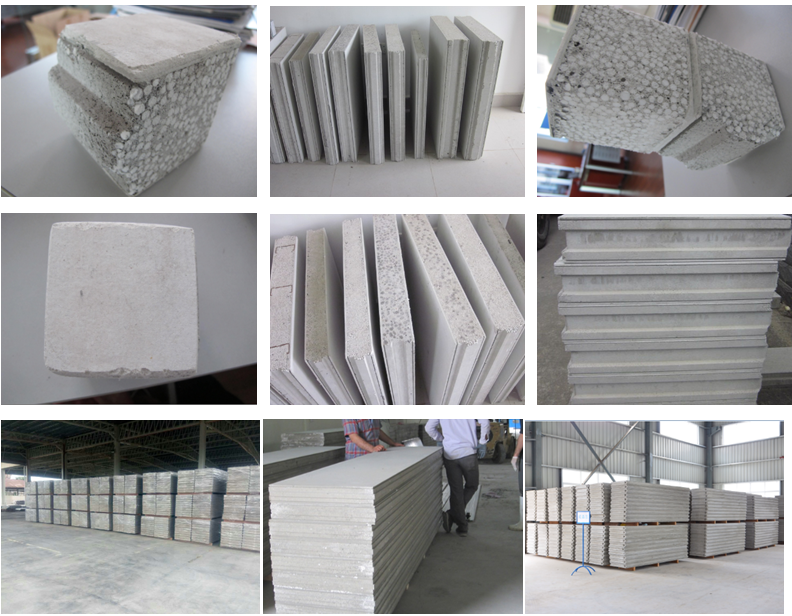 EPS concrete sandwich wall panel is a green, new kind of product. 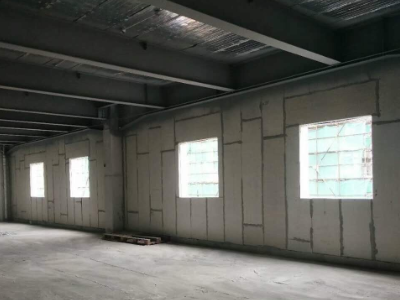 It can be used as partitions for high buildings and both external wall and partitions for steel-structure prefab houses, villas. Its birth took the place of traditional red bricks and AAC blocks,it can fully meet the requirements of modern buildings to walls. 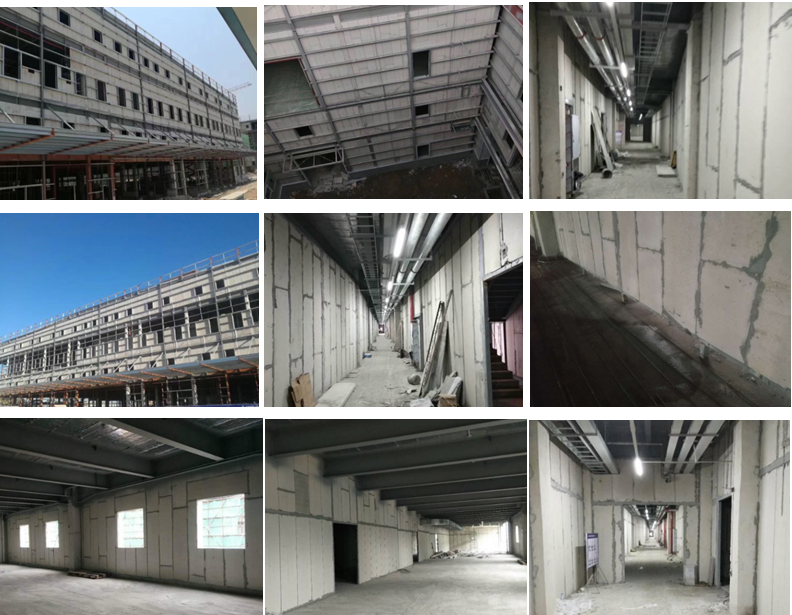 EPS concrete wall panel has the advantages of lightweight, thin thickness, high-strength, heat and sound insulation, water and moisture proof, anti-seismic, thermal insulation, etc. 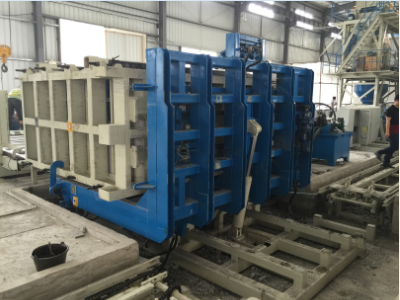 Meanwhile, it can be nailed, sawed, grooved, and easy for installation on the construction site. 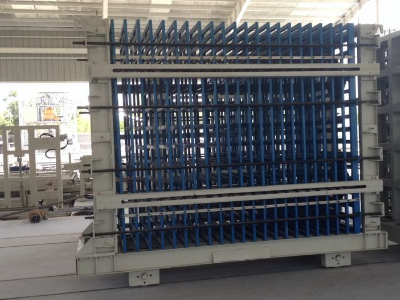 It can reduce the loading weight of the building and increase usable space, so it can save a lot of construction cost. 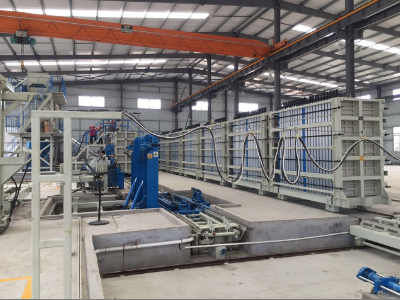 Vertical-type and vertical molding composite heat-preservation wall panel production line integrates electronics, hydraulics and mechanics. 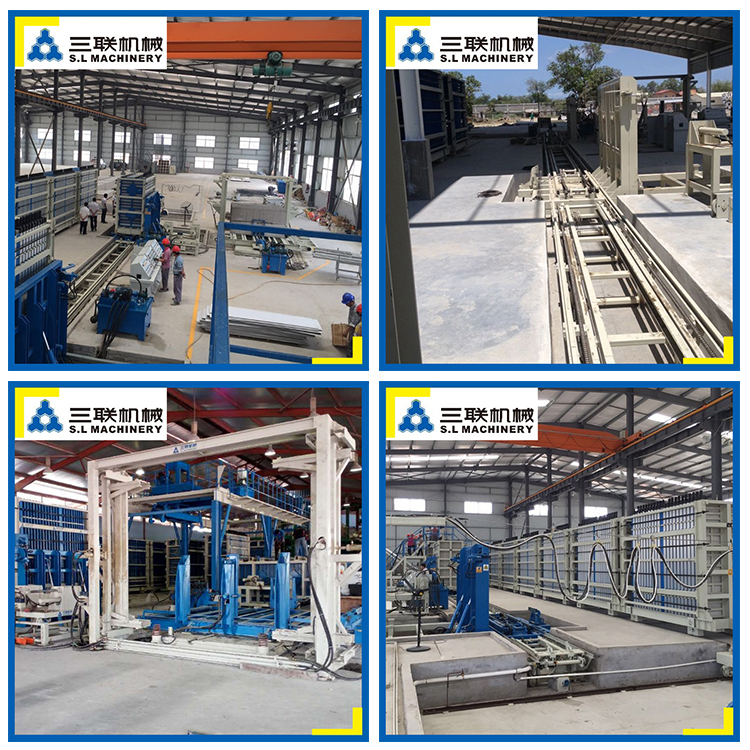 u Its main production process consists of six parts, namely batching, mixing, automatic grouting, mould turnover, conveying, curing, demoulding and stacking. u Two working methods, including manual and automatic recycling are available to select. 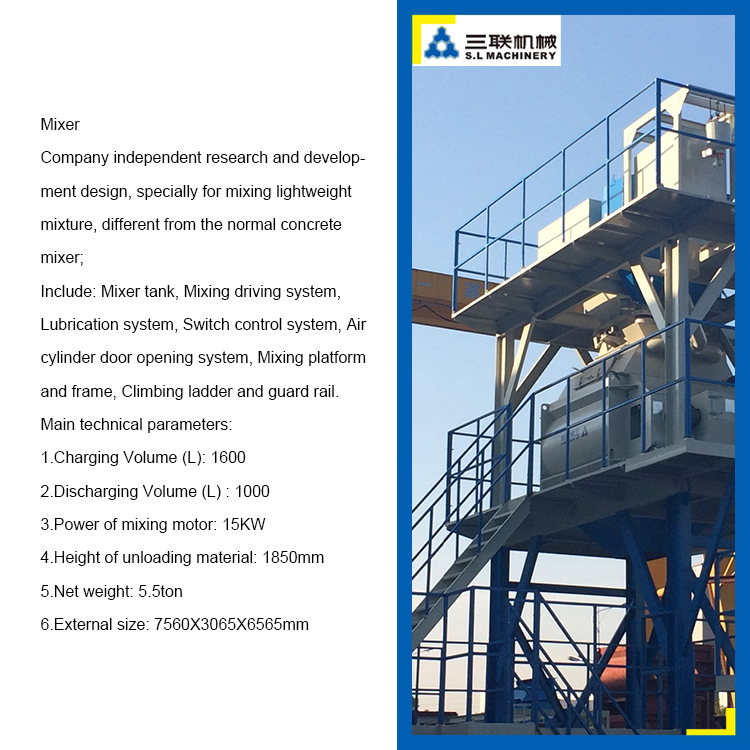 u Its safety and stability can be achieved by the advanced industrial PLC, high-precision hydraulic components and compact mechanical structure.